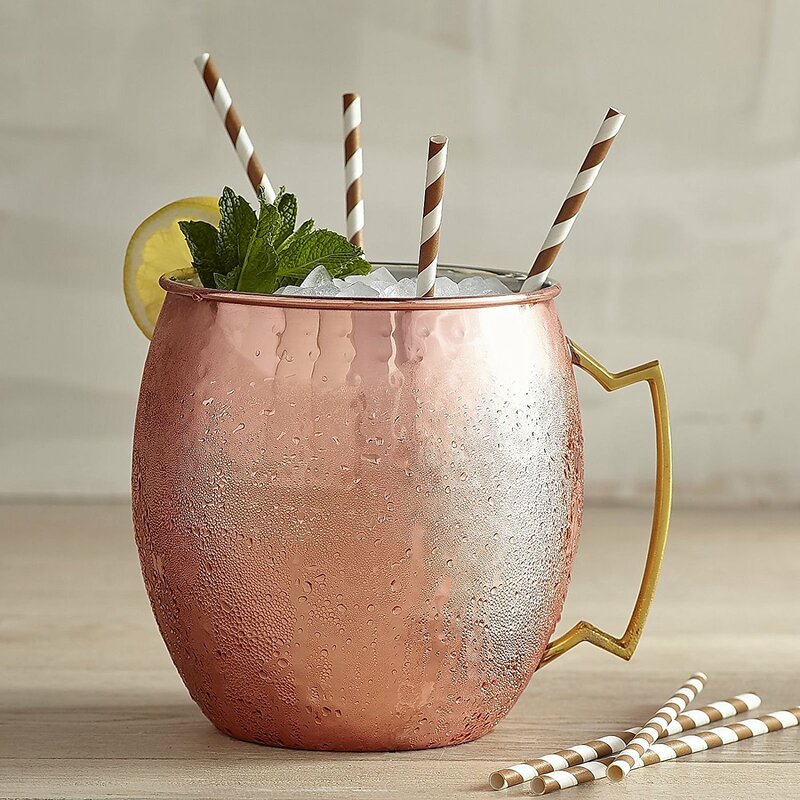 Since the drink's invention in 1941, it's been a convention to serve the Moscow Mule in the best copper mule mugs you could find, lined with a metal such as nickel for the interior. Thanks to this tradition, today, there is a wide variety of excellent and impeccably built mugs to choose from. If you're a cocktail enthusiast, you've no doubt heard of the Moscow Mule. In essence, this cocktail is made with vodka, ginger beer, and lime juice combined to a surprisingly well-tasting drink. However, as most cocktails lovers know, the secret to a good cocktail isn't always in the ingredients – it's also in the container. This mug is made using 100% pure copper sheets, so each mug is solid copper without any other alloys. Advanced Mixology offers you a lifetime warranty, which means that if anything happens to them you’ll be able to get a full refund or a new set of mugs – your choice. Additionally, the mugs are coated with food-grain lacquer to better retain their shine because copper is very easy to smudge. Another 100% copper mug which is made out of 22-gauge metal and is of excellent quality. Unlike the previous one, there’s no lacquer and no lining on the inside of the mug. Some might consider this a plus, but keep in mind that you’ll have to take great care to shine your mugs after each use to prevent smudging and keep them looking shiny. The Cattorie mug is hand-hammered, which gives it a very specific, vintage look if that’s what you’re after. With a capacity of 16 ounces, it’s the perfect size not only for a hefty Moscow mule drink but also a pint of cool beer with plenty of ice cubes. Cattorie offers a 30-day guarantee, during which you can return the product no questions asked or ask for a replacement. 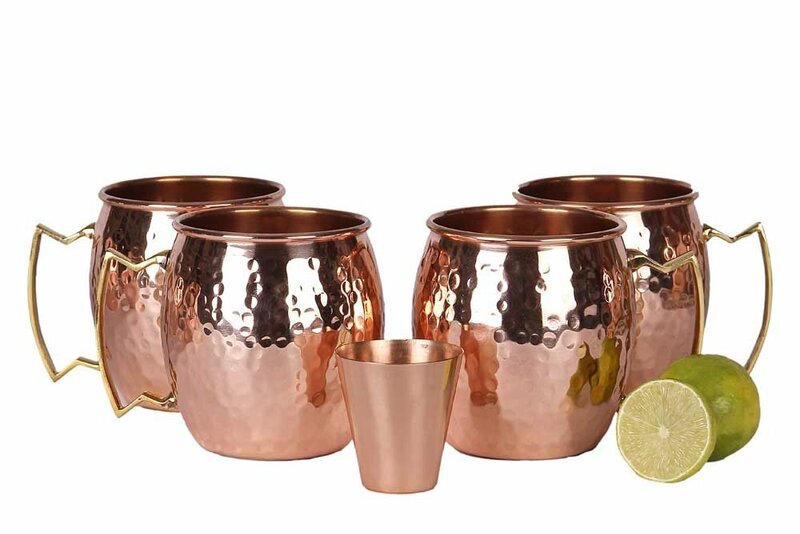 This set of 4 solid copper Moscow mule mugs is perfect if you frequently have people over for drinks. It not only includes four wonderfully made and large hand-hammered mugs (18 oz), but it also gives you four branded coasters as a gift. Truly a whole experience in a box. The handle is made out of wood, not copper or brass, and there’s a small hole in it if you want to be able to hang your mugs on the wall. Finally, the best thing about it is that it’s available at reasonable prices with the possibility of making additional savings by applying one of the amazing Amazon discounts. The 16-oz Mint Meets Ginger mugs contain no nickel or stainless steel lining. It’s large enough to pour any drink into, so it’s the ideal choice if you actually want to learn to mix cocktails without making a mess. As the case is with many products, the manufacturer offers a money-back guarantee if you aren’t satisfied with the product, so you have nothing to lose. The Cocktail Kingdom mug was made to be a precise reproduction of the original Moscow Mule mug from 1946. 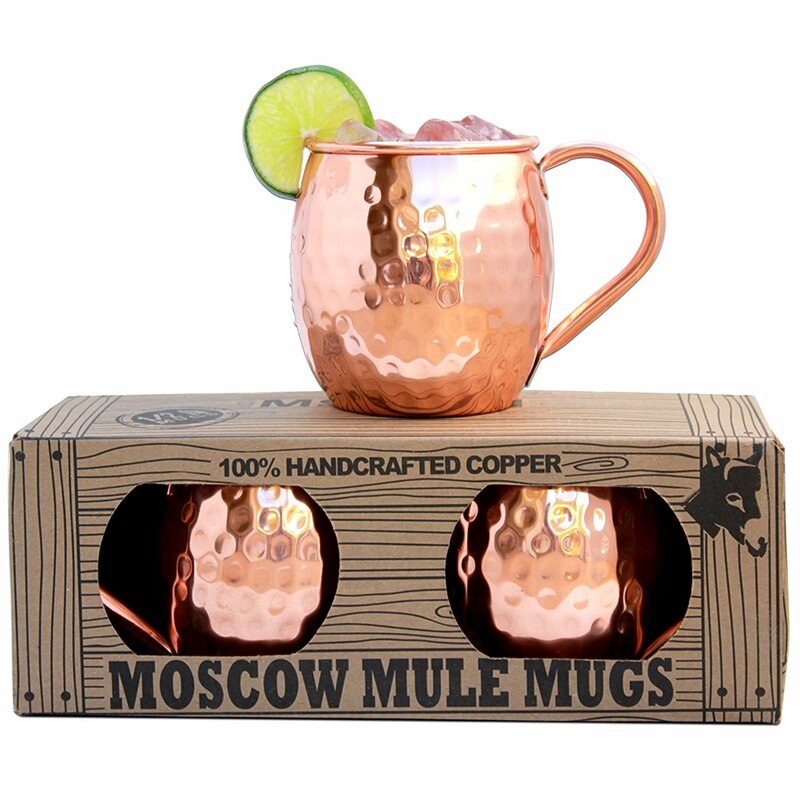 The engraving features the classic Moscow mule logo, and the construction is pure copper. Its capacity of 12 ounces is a bit lower than its counterparts, but this is still enough to enjoy a nice cold, tall drink of whatever you see fit, and definitely enough for your cocktail of choice. This mug comes with one-year warranty and is delivered to you in a beautiful custom gift box. Apart from that, the craftsmanship is nothing short of stunning as the mug is embossed with flowers and filigree to give it a very elegant look. The mug is completely handmade so the quality is solid and meticulously inspected by the craftsman for any inconsistencies. As a free gift after purchasing this mug, you get a set of straws and stir sticks, as well as an eBook on the history of mule mugs. Although the name says that they’re unlined, there is actually some nickel lining on the inside of the A29 Moscow Mule mugs. This is to protect from corrosion and the oxidation of copper and has no real effect on either the taste or the outside appearance so you shouldn’t worry about it. Apart from that, the mug is 16 oz and you actually get a small, stylish copper shot cup as a gift. 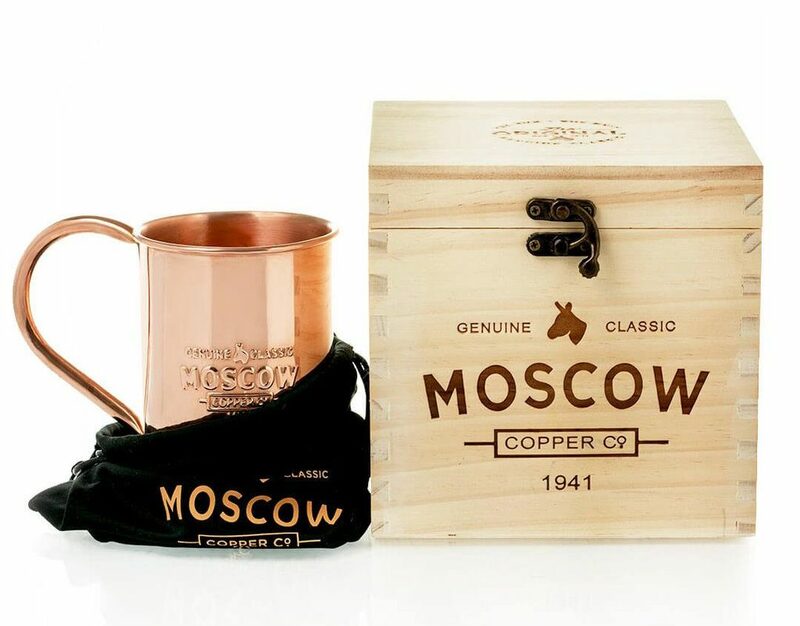 The Moscow Copper Company makes 100% copper mugs with no added lacquer to ensure a full vintage look and feel. The handle is heavy and very high-quality to be able to handle the 17-oz mug with no problem whatsoever. When you order this mug you’ll receive it in a limited edition collector’s box made from pine wood, making sure that the mugs are delivered in style and protected from any damage. 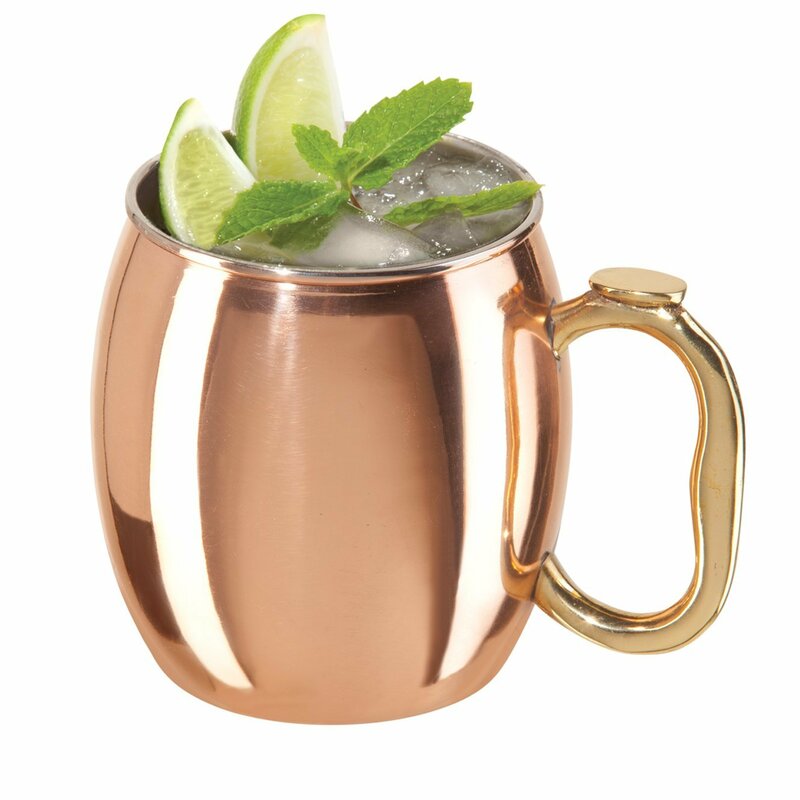 While the best copper mule mugs are usually made from copper, it isn’t a crime to break the rules every now and then. Crate and Barrel decided to do just that with this exquisite stainless steel version of their mug which amounts to far greater durability and easy maintenance. This is basically the unmarked version of the Cocktail Kingdom’s original copper mug. The construction is the same, only without the engraving to achieve a very clean and sleek look. The quality is absolutely stunning, so this mug is bound to last a long time. This one includes a brass handle and some nickel lining, but other than that, it’s pure copper – just like a Moscow mule mug should be. It boasts of a shiny look due to the lining, and unlike other manufacturers, Bulk Apothecary actually lets you choose a color. There’s blue, green as well as uncolored if you want the vintage look. 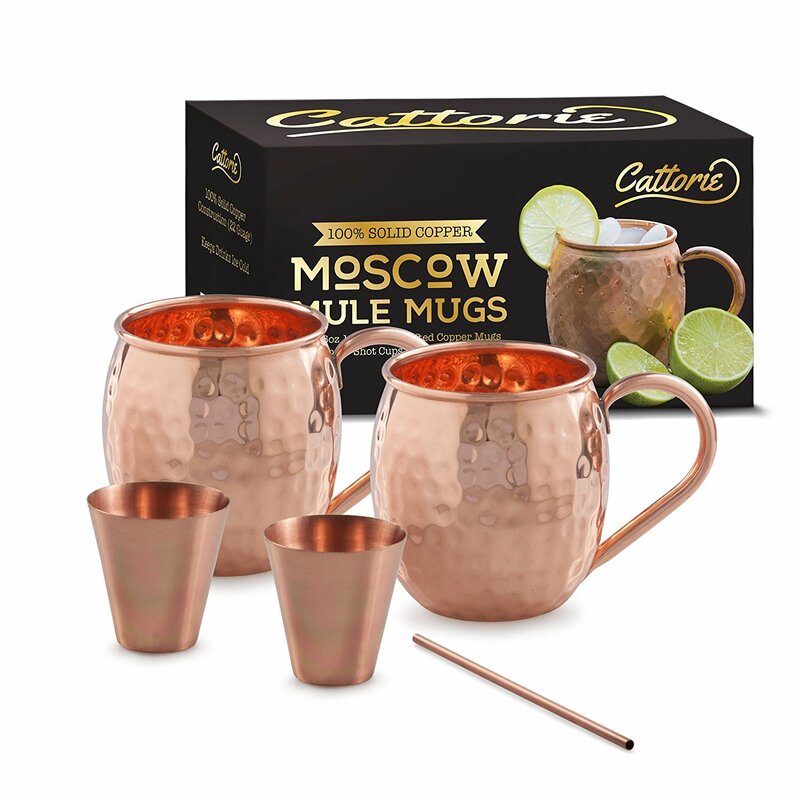 The Caldley Moscow mug features a pretty unique design; apart from the handle and the copper construction, there are three sturdy legs on the bottom of the cup. This makes the mug very stable and unlikely to topple over despite your best efforts. 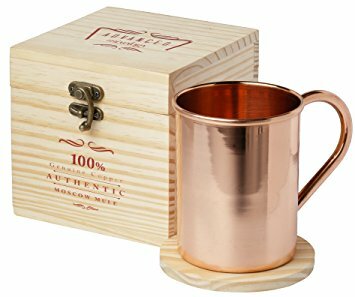 Caldley Moscow exclusively makes 100 percent copper mugs so there’s no plating inside, just really nicely polished copper. The handle is apparently brass but looks sturdy enough, and the mug itself has a capacity of 14 oz. Like the Crate and Barrel one, this is a stainless steel mug that’s just plated with copper. 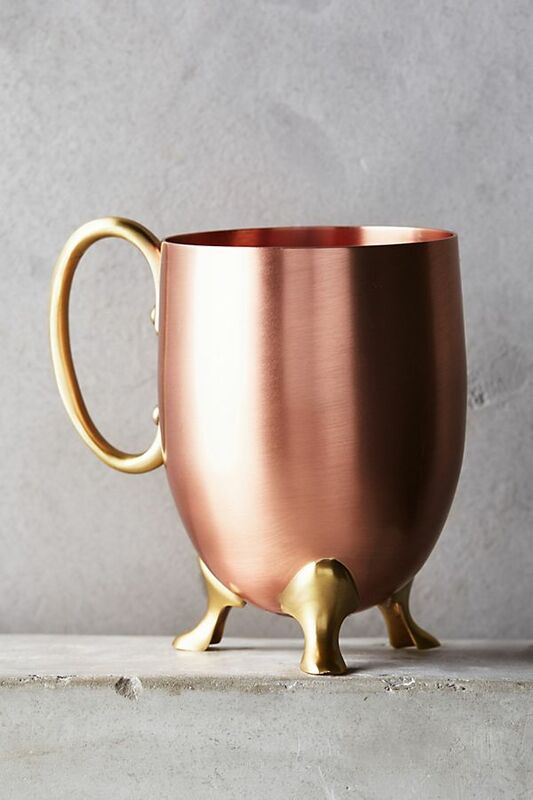 This makes it extra durable but still retains that classic copper Moscow mule mugs look that everyone is after. Also, because of the higher heat capacity of stainless steel, your mug will get frosty a bit quicker than if it were pure copper. At 20 oz, it’s also bigger than most of the items on this list, perfect for when you’re really thirsty and can’t bother to refill your drink every five minutes. Speaking of size, I bet you didn’t know that there was a mug out there that could hold a whopping 94 ounces. If you’re looking for a perfect gift at a reasonable price, look no further than the Mega Moscow. You can even make additional savings with eBay deals and coupon codes. This product can accommodate almost three liters of liquid, making it highly unlikely that you’re going to be finishing that drink until the night is done if you dare fill it all the way up. It’s a great way to share drinks with friends or a significant other – all you need is a few straws and some ice, and you’re good to go. This mug is actually a combination of stainless steel and copper, giving you the best of both worlds in terms of durability, style, and heat capacity. The price is great as well since you can get it at one of the largest retailers with the benefit of one many Walmart coupons. The capacity is 16 ounces, so it’s perfect for drinks of all sizes, not just Moscow Mules. 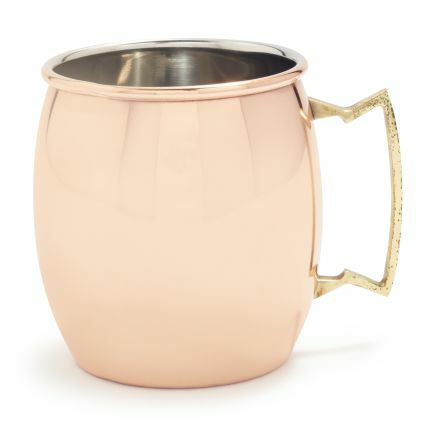 Why do Moscow Mules taste better in copper mugs? 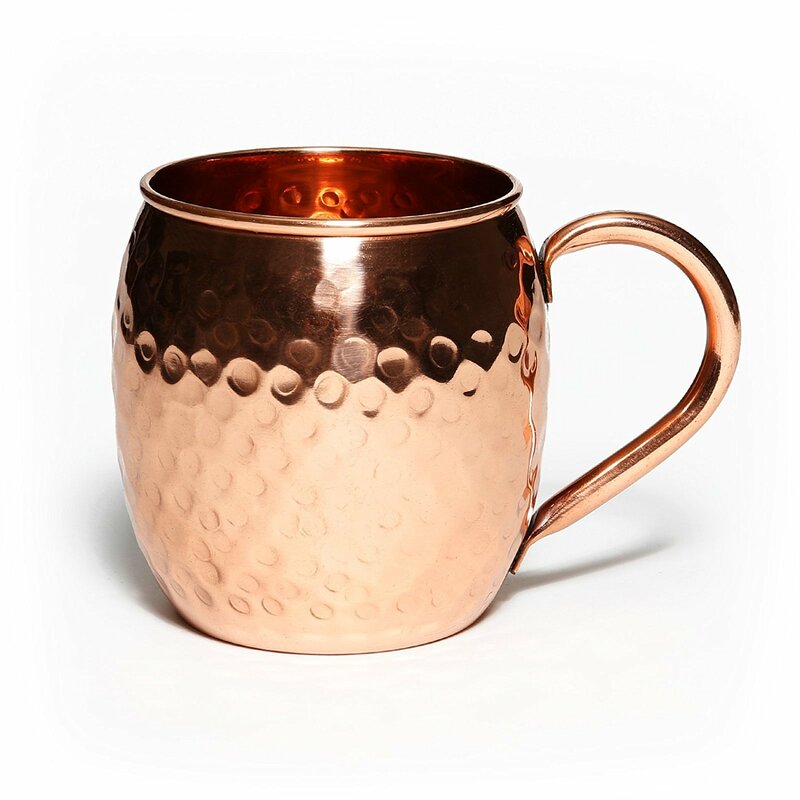 There are several reasons why a copper mug is a perfect choice for a Moscow Mule. Some of them are scientific in nature while others are subjective and based on personal experience. First of all, there’s the factor of temperature. Copper is an excellent conductor and possesses a large heat capacity. Because of this, the moment you pour the drink into the glass, it cools down almost immediately and will stay cool for a longer period of time. 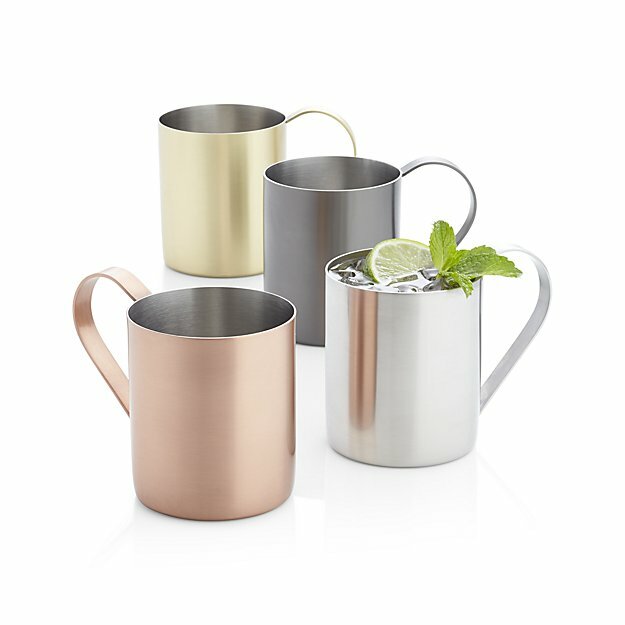 These are some of the benefits of good copper Moscow mule cups. Copper will also contribute to the fizziness of the ginger beer when cooled, making it slightly more carbonated and enjoyable. And finally, it’s about the presentation; a copper mug simply looks better than ordinary glasses, and will visually contribute to your overall experience. When it comes to cocktails, it isn’t all about the taste but the whole package – presentation included. There are a few factors to consider when choosing the right copper mug, and there’s more to it than what it looks like. For instance, should you go for lined or unlined Moscow mule mugs? There’s an art to making good copper mule cups, and below are some factors that will tell you whether the craftsmanship is truly high-quality. Some mugs out there are 100% copper and others might have a certain percentage of different metals. Copper is generally pretty expensive, so a pure copper mug will naturally cost more than a mixed one. If you want to go full vintage, 100% copper is the way to go, but if you don’t want to spend a lot of money, then a mixed one is just as good. 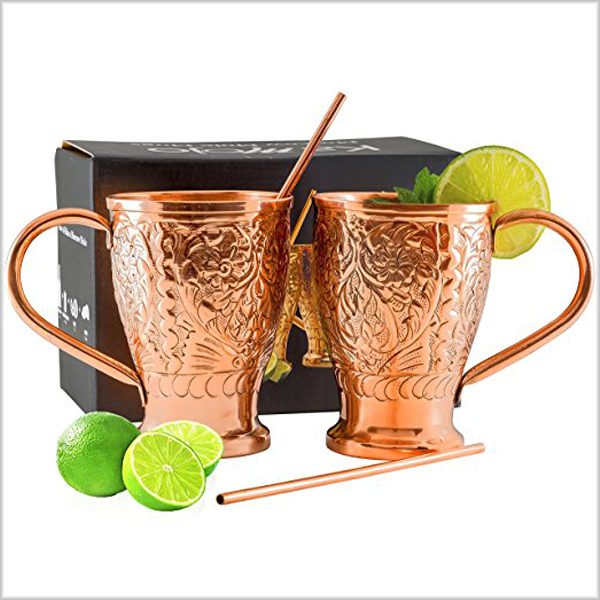 There’s also the choice between lined or unlined mule mugs; there’s been some controversy about whether copper mugs are safe to drink from if unlined – if you’re concerned about that, opt for a lined one. As mentioned, copper is a very conductive material, so it transfers heat really easily. This means that if you hold the mug with your hands, your drink will warm up pretty fast. It is, therefore, essential to have a functional, nice-looking handle that you can grip the mug by when you’re enjoying your drink. There are various styles that you can choose from when it comes to copper mugs. Most of them are handmade, some of them are even hammered by hand to give them a real vintage look. This depends on what you like and is totally subjective, so just go with what feels right for you. As mentioned, the material and craftsmanship will impact the price. While you can find really nice cups at lower prices, you need to look out for the really cheap stuff as there’s a chance that it is a knock-off and of poor quality. 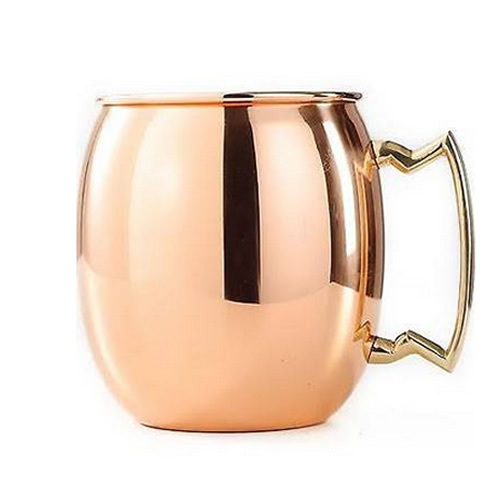 The best copper mule mugs will always cost a bit more than ones made of glass or some other cheap material, mostly since copper is an expensive metal by itself. If you do see a suspiciously cheap copper mug, take great caution not to get ripped off with a sub-par product. 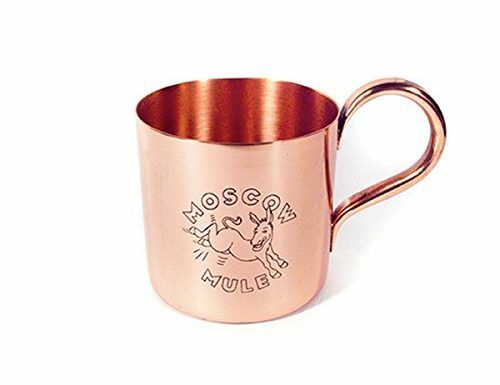 Alright, now you know what you should look out for when choosing a mule mug, but what is the best copper mug for Moscow Mule that you can find out there? Well, the truth is that there’s a lot to choose from and most of them are built pretty well. As mentioned, there are also quite a few knockoffs, that’s why the mugs in the handpicked selection above are confirmed to be high-quality. The choice of the container definitely has an impact on the experience you get from a nice, cool drink. As you can see there are many varieties of mugs out there to choose from, it all depends on what you like. 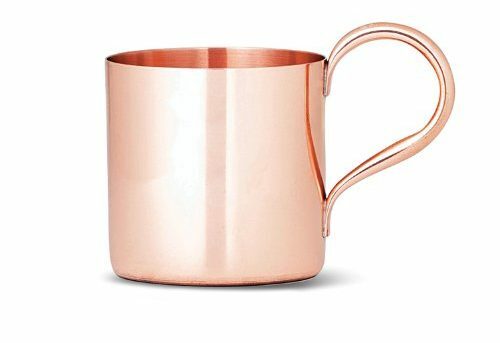 The sixteen examples we’ve just talked about include some of the best copper mule mugs you can find online. Now all you have to do is choose the one that you like best, and you’re good to go. Cheers!